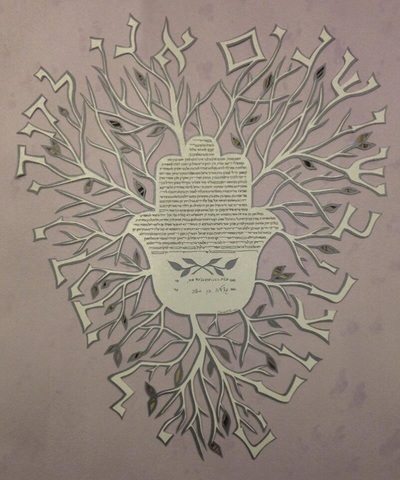 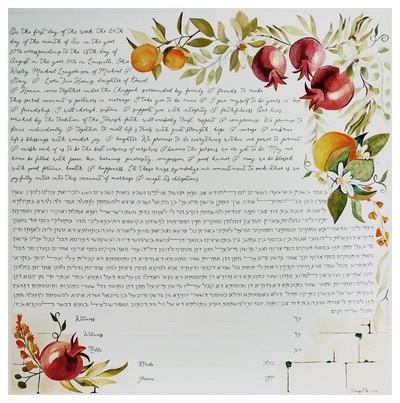 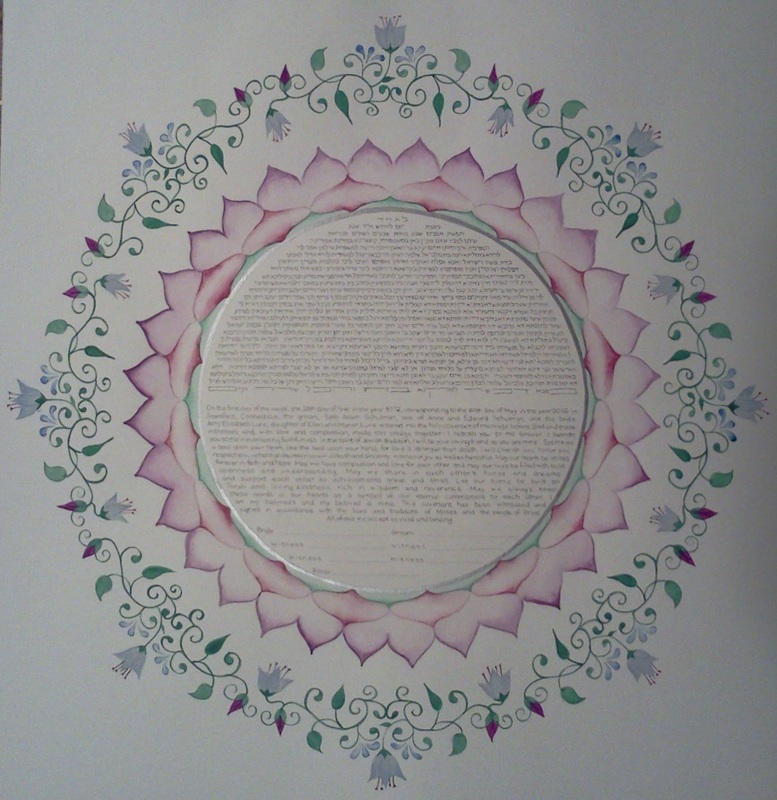 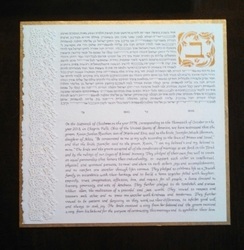 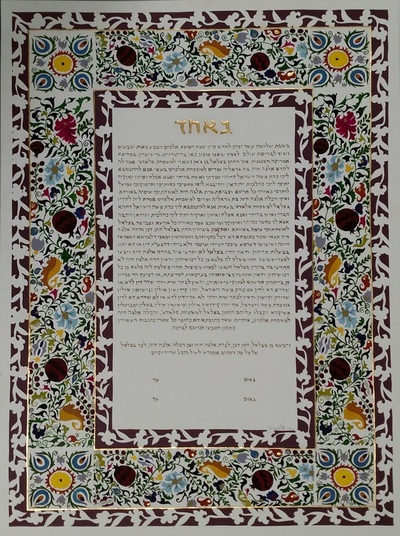 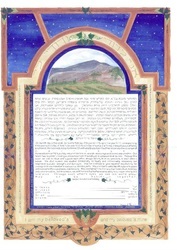 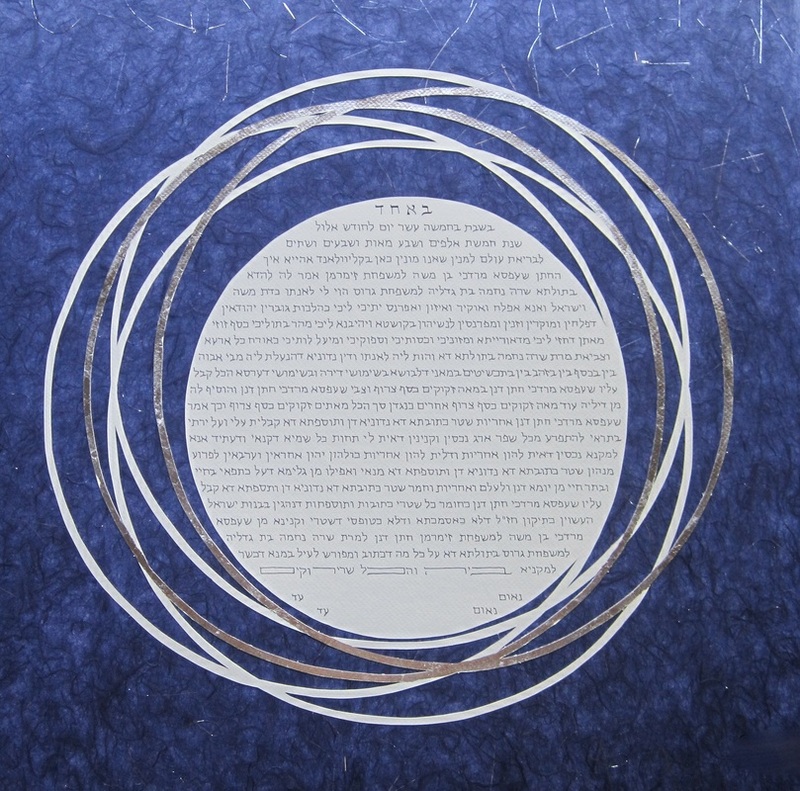 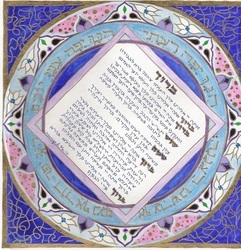 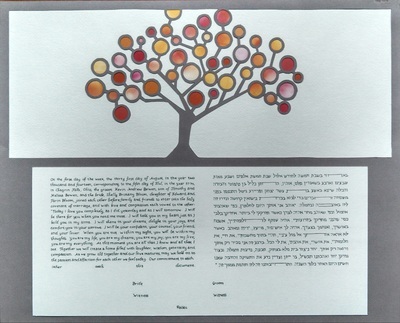 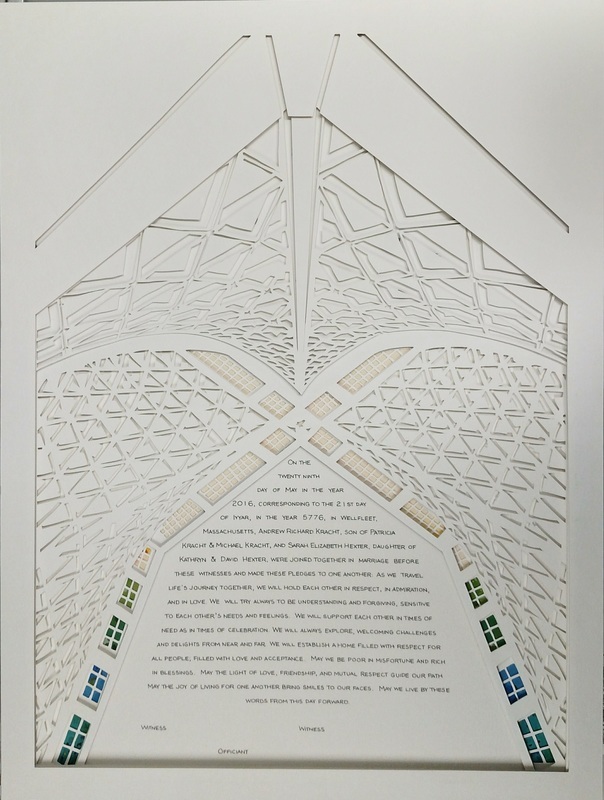 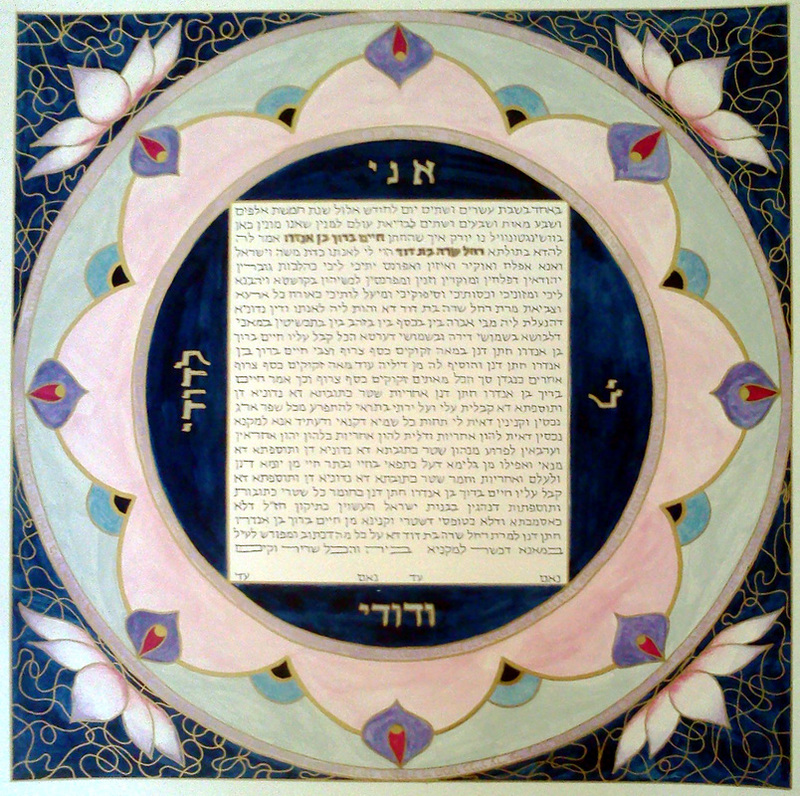 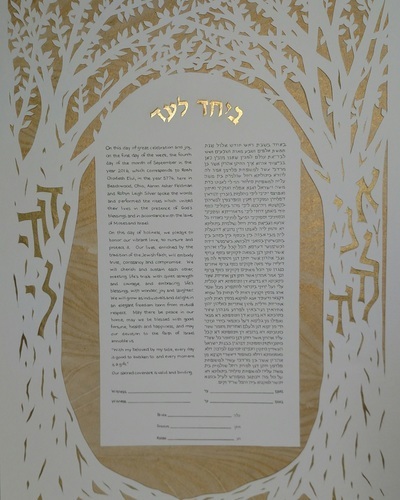 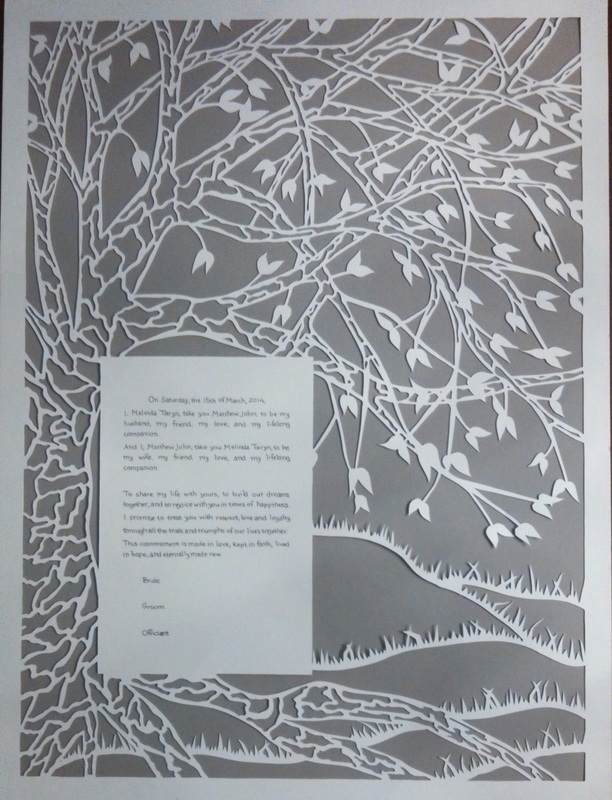 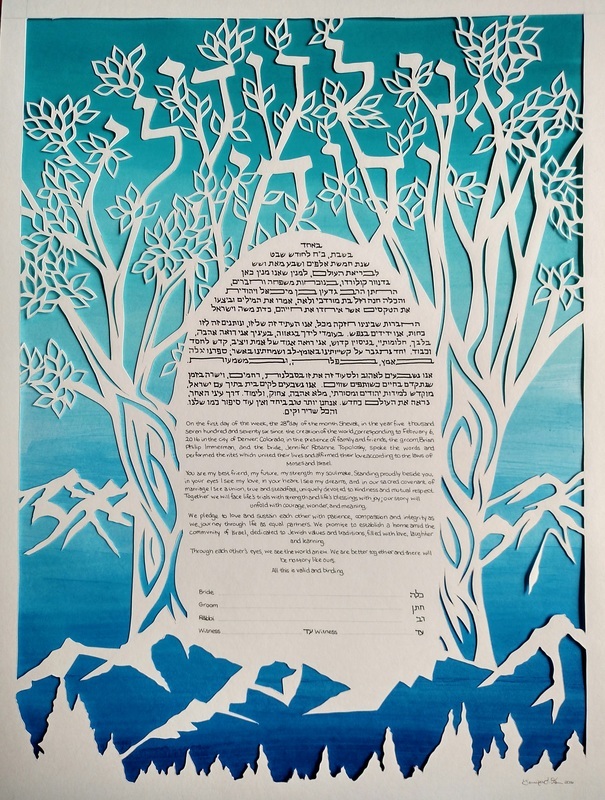 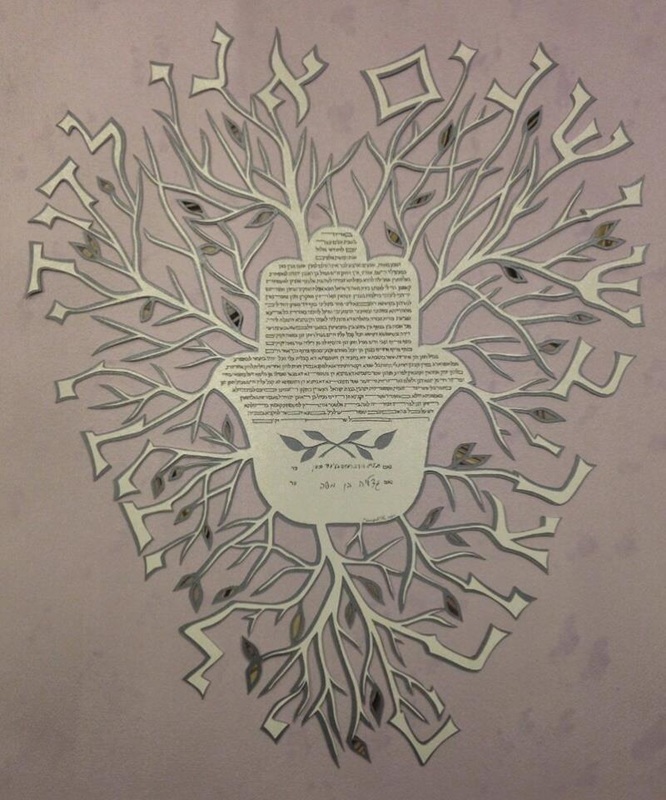 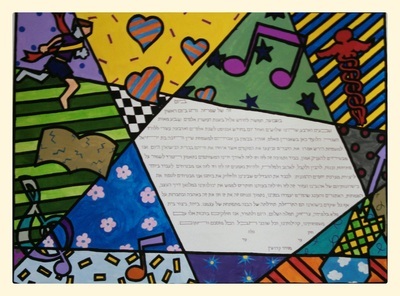 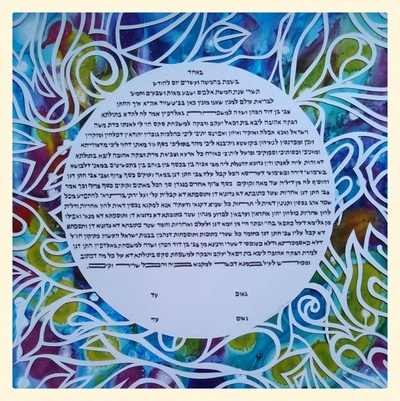 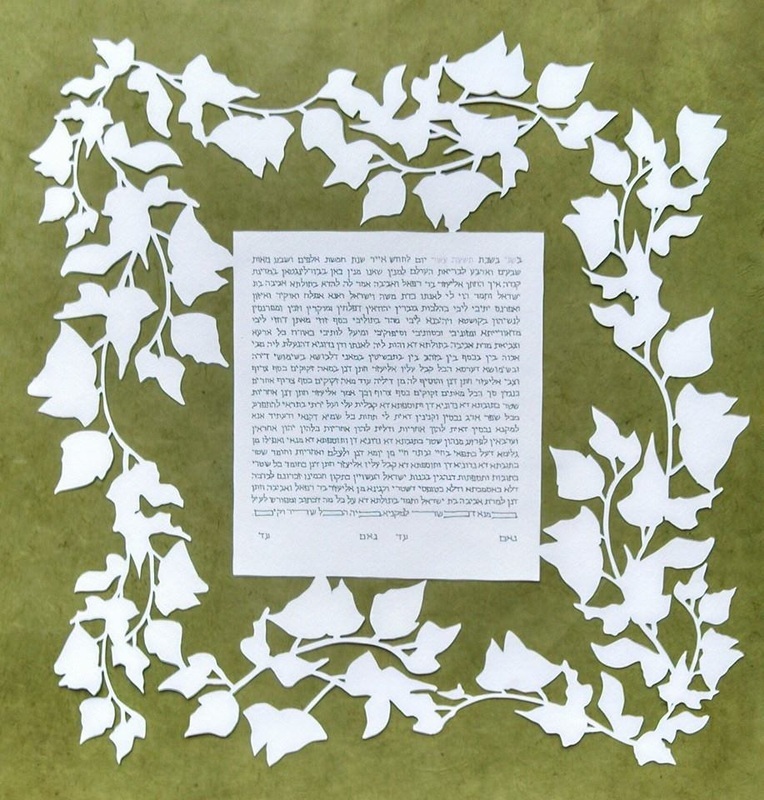 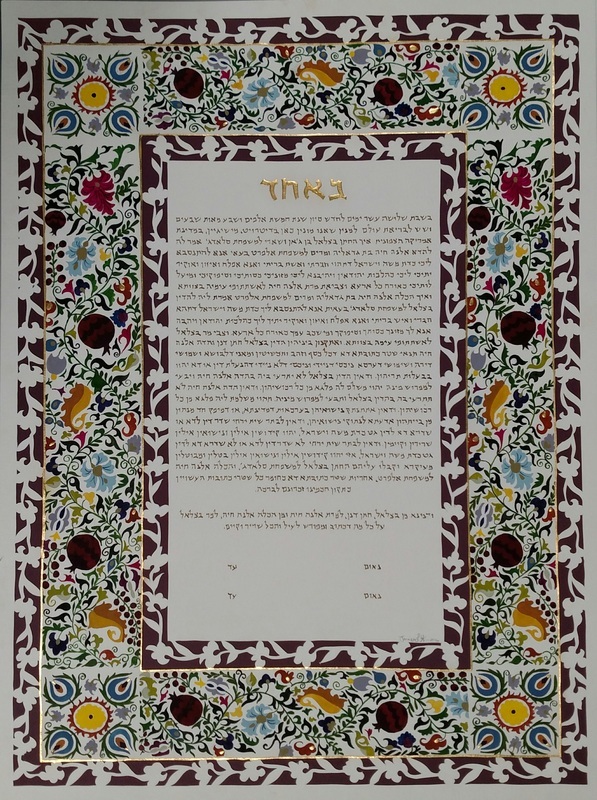 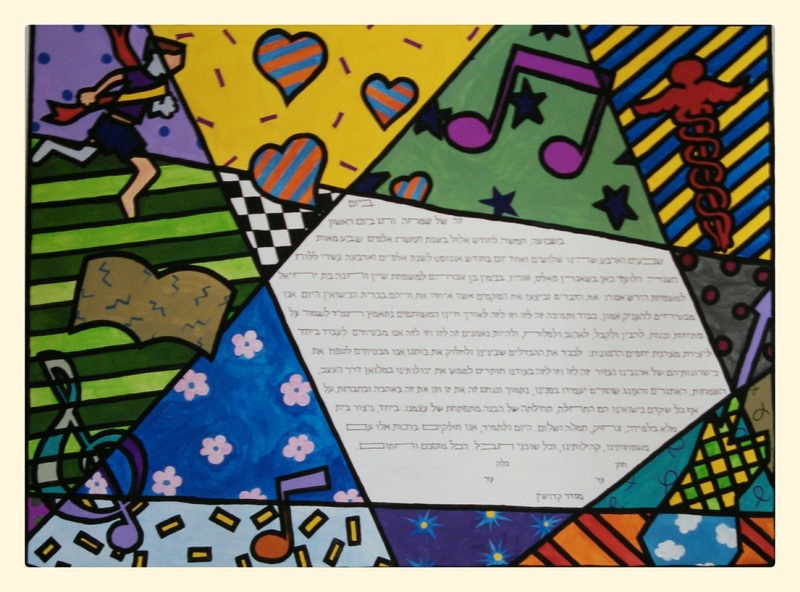 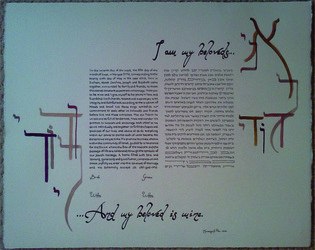 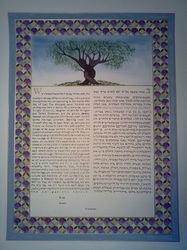 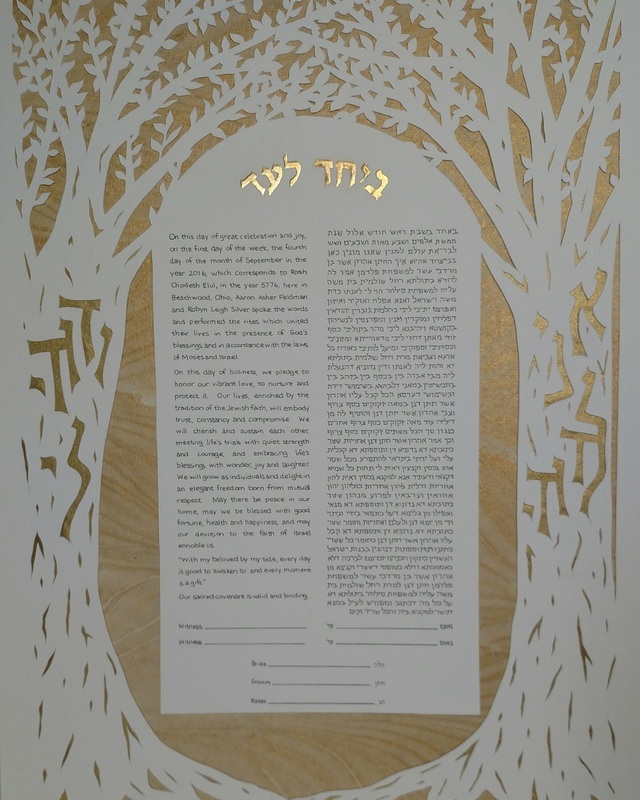 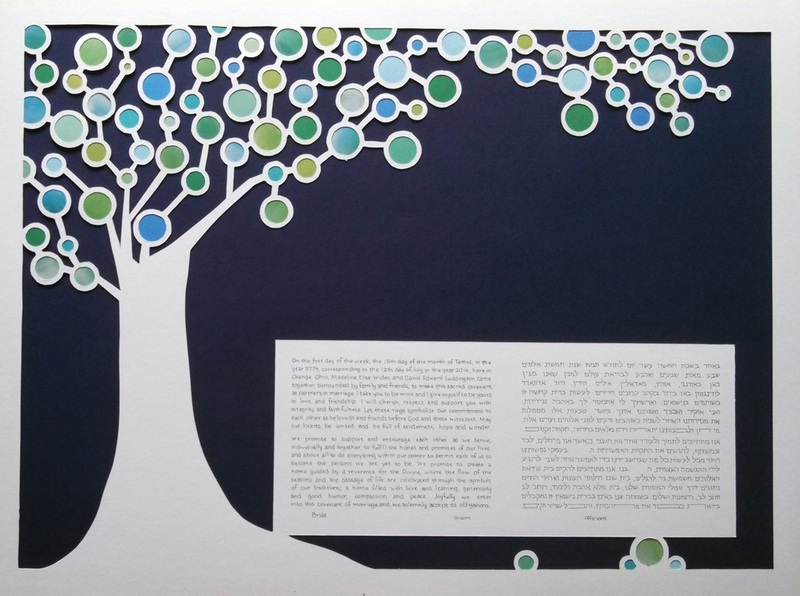 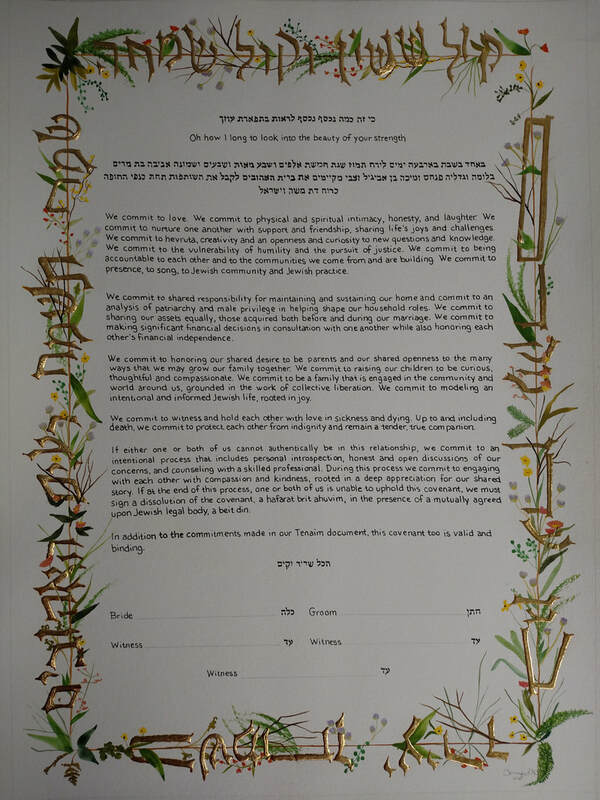 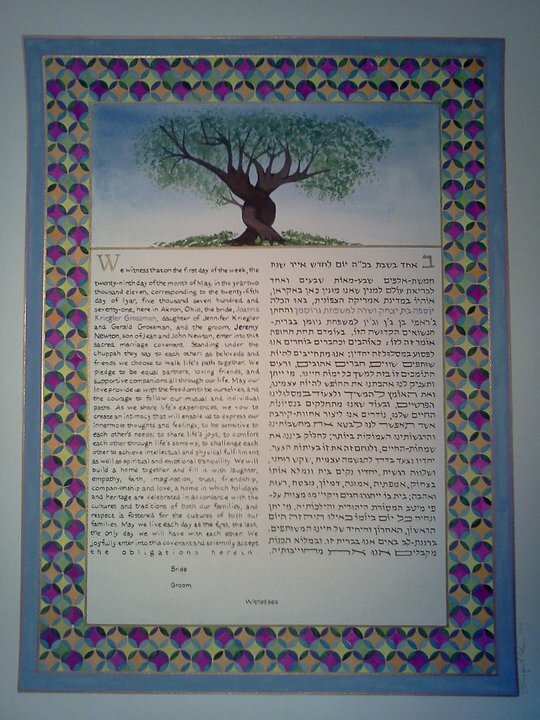 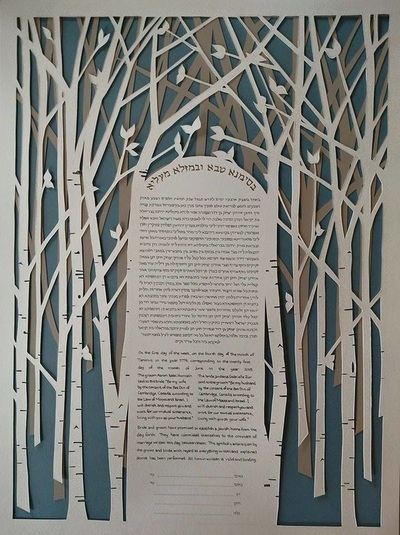 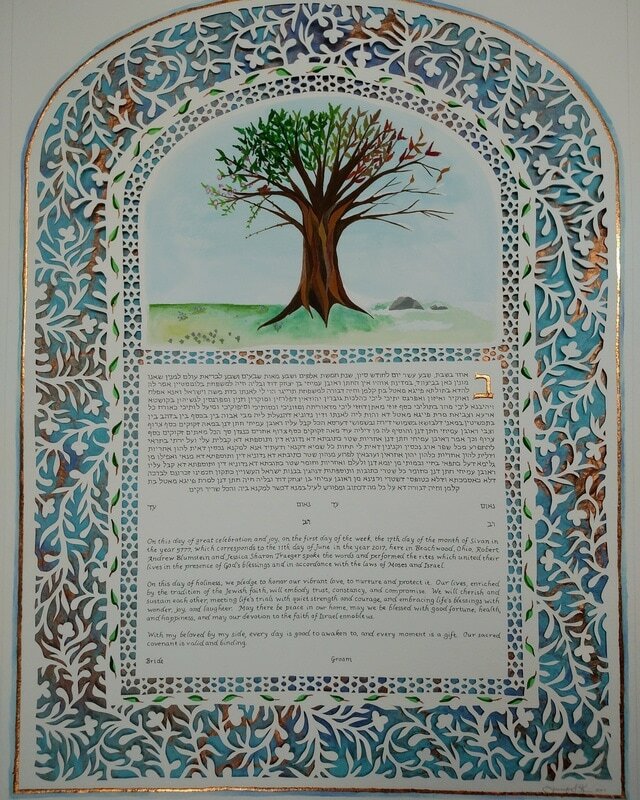 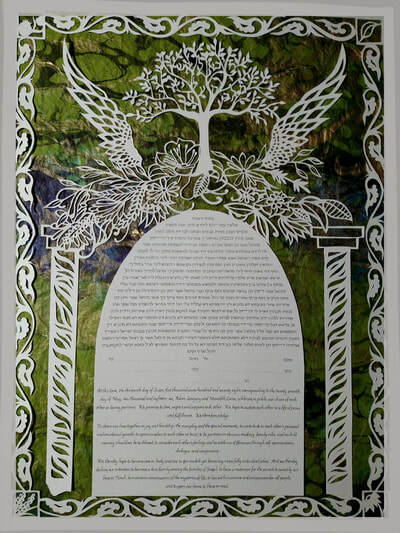 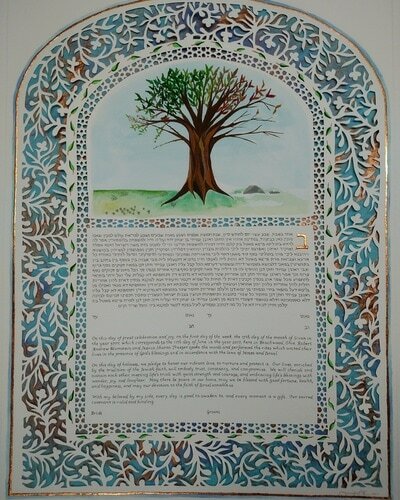 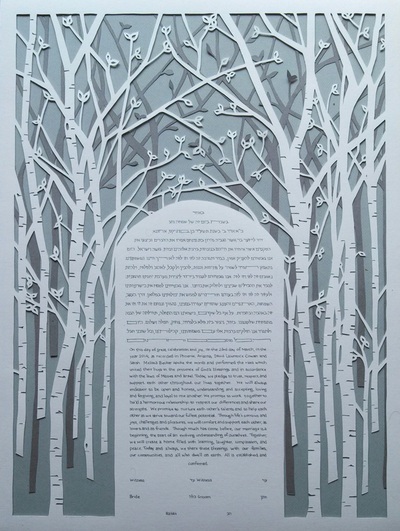 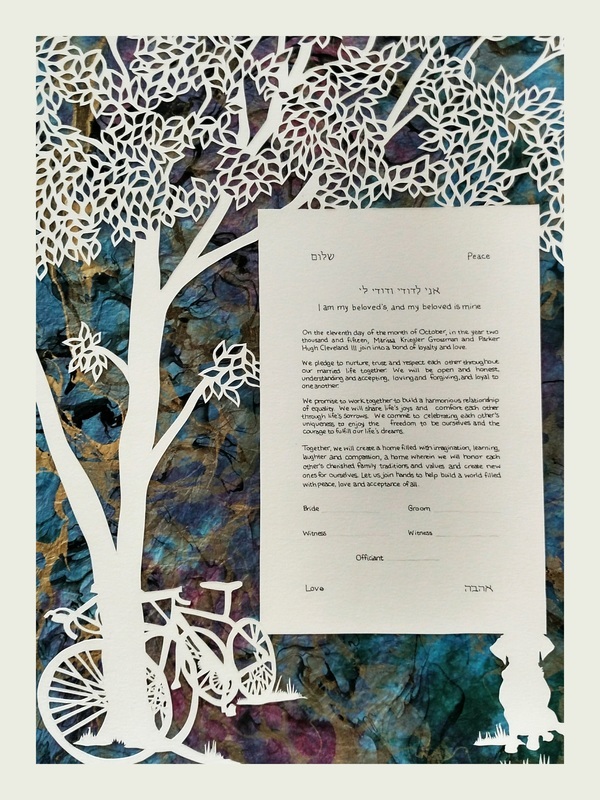 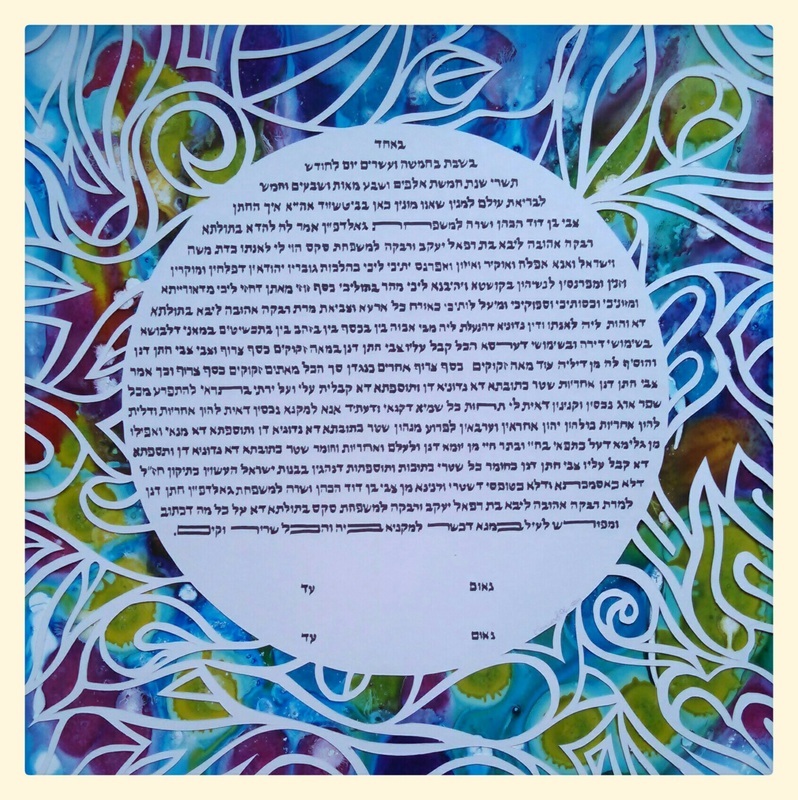 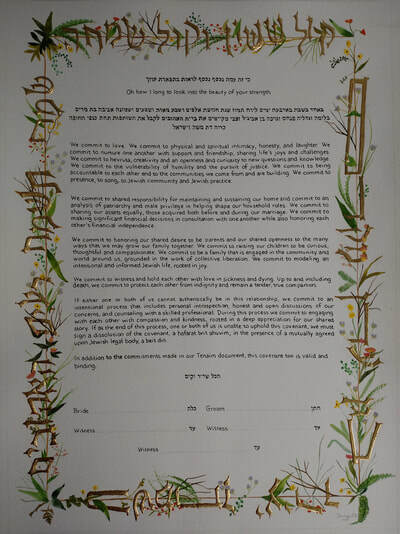 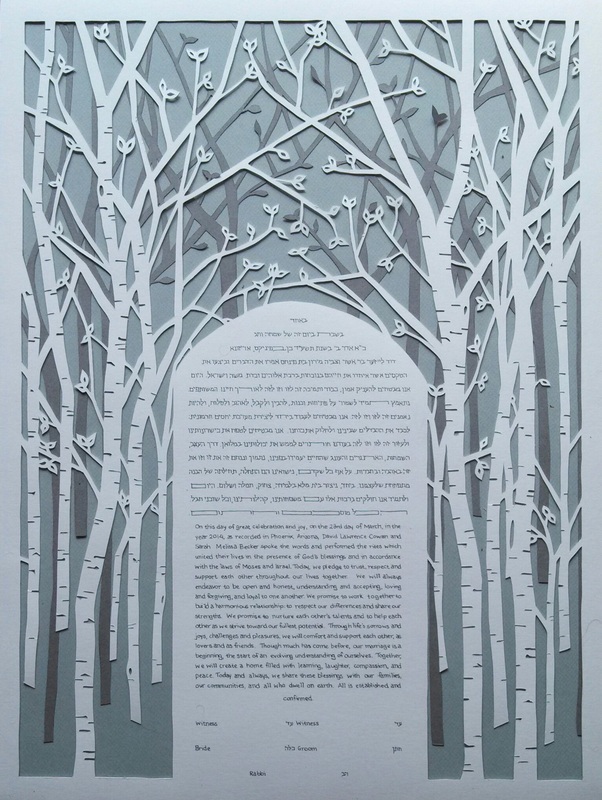 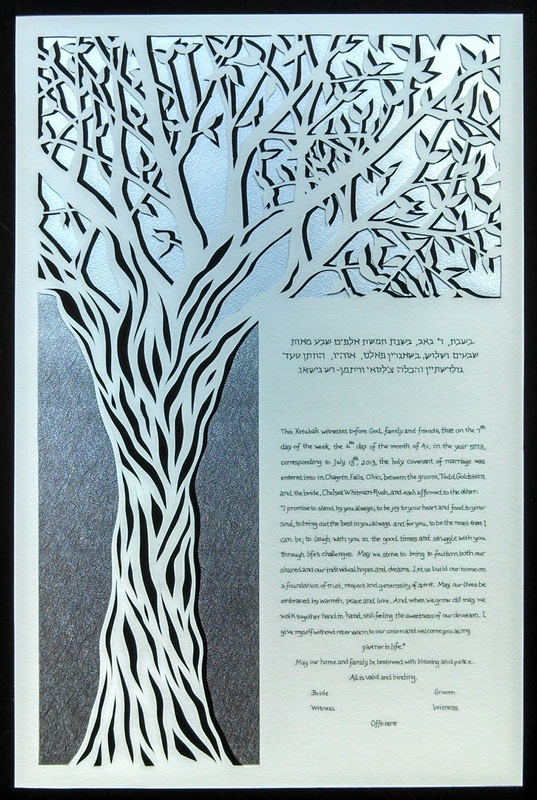 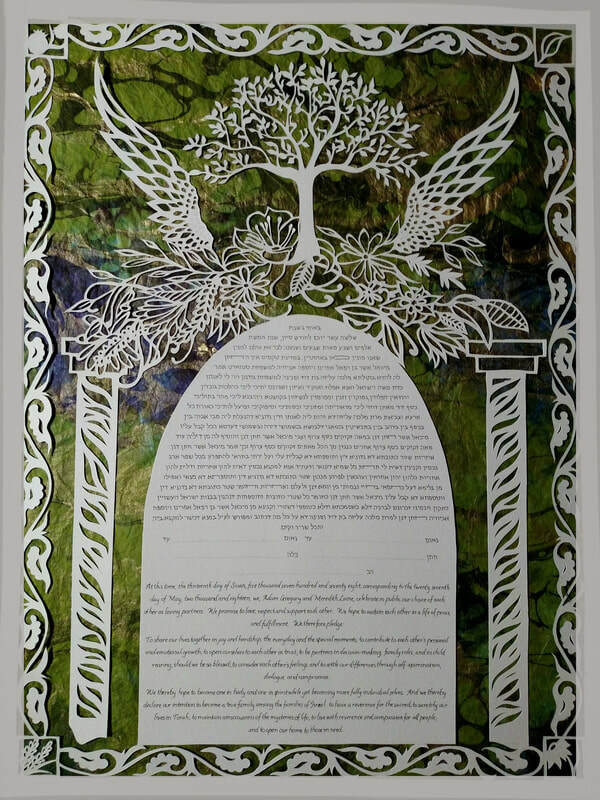 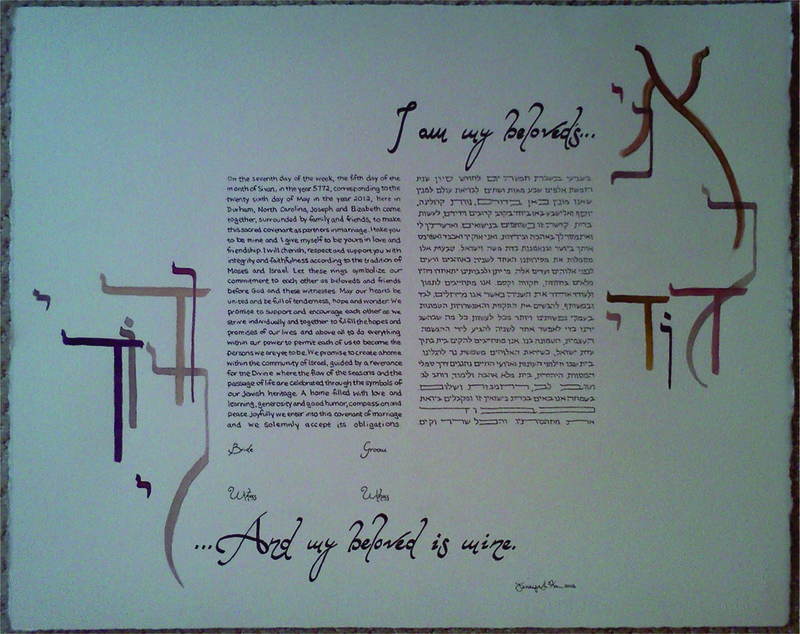 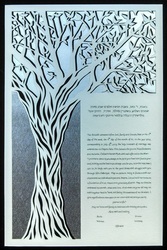 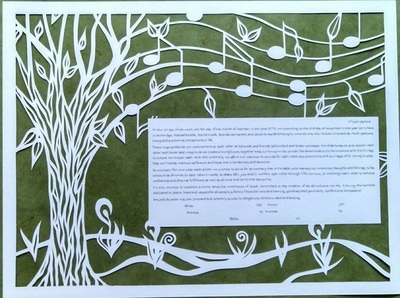 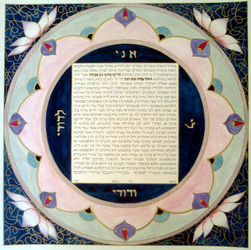 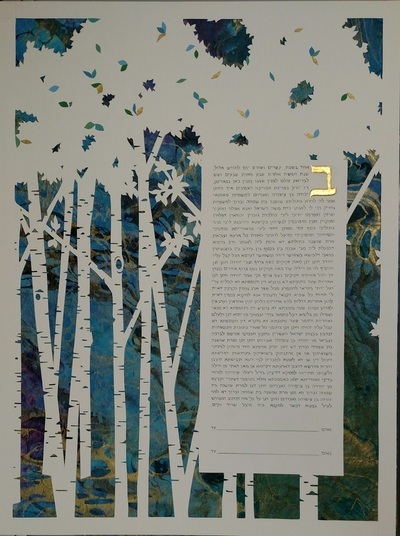 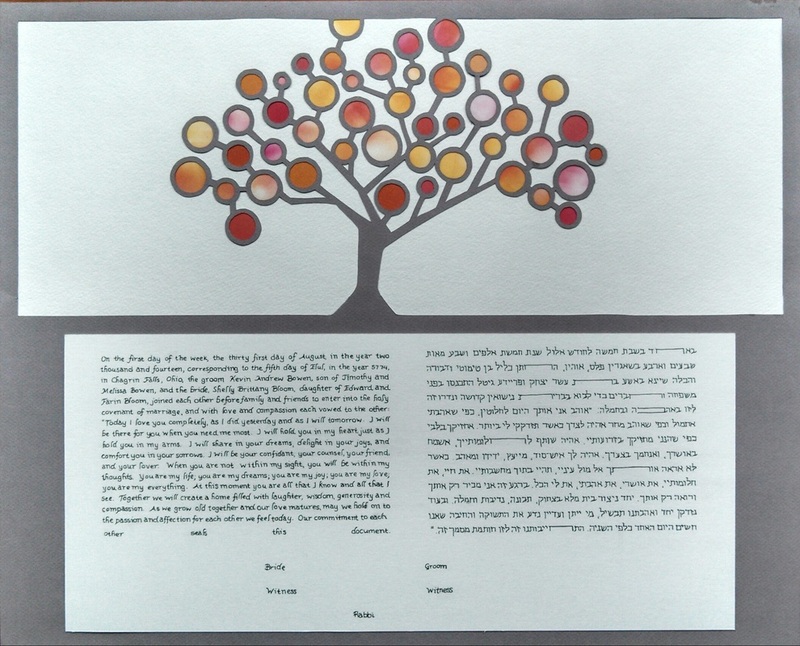 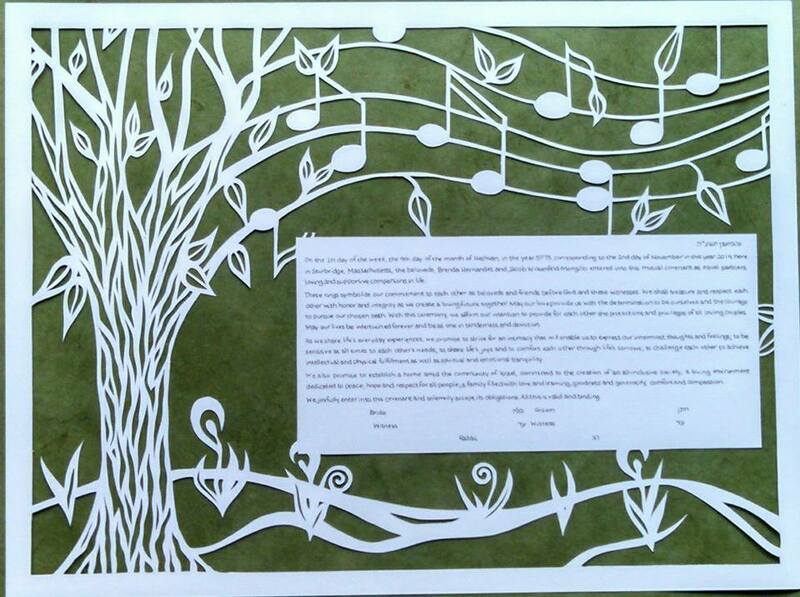 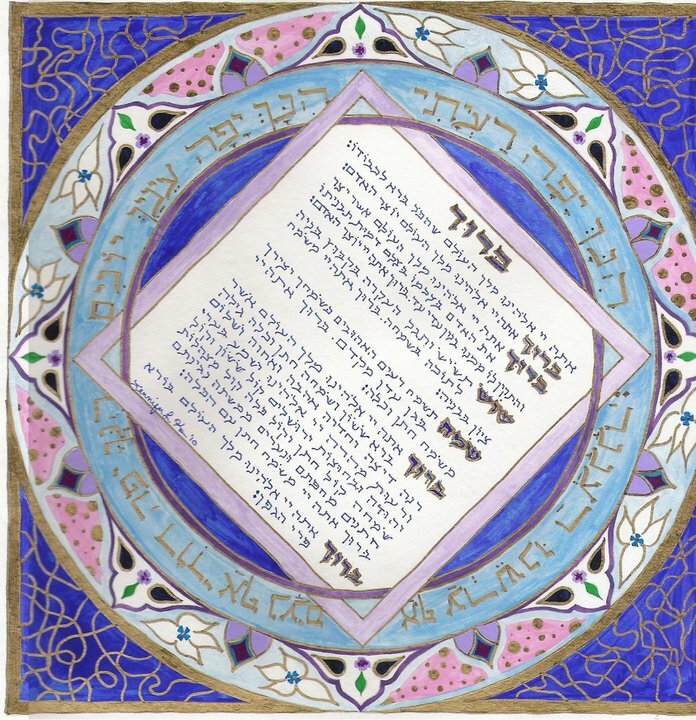 We offer custom ketubah services. 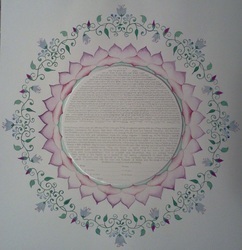 Ketubahs are done on high quality watercolor paper and can be shipped anywhere. 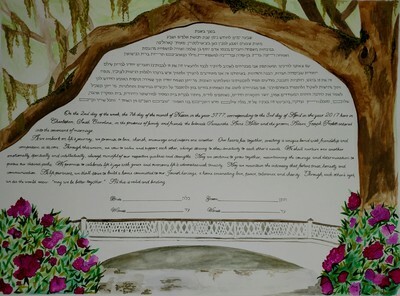 Please plan on 6 weeks for the creation of your custom wedding document. 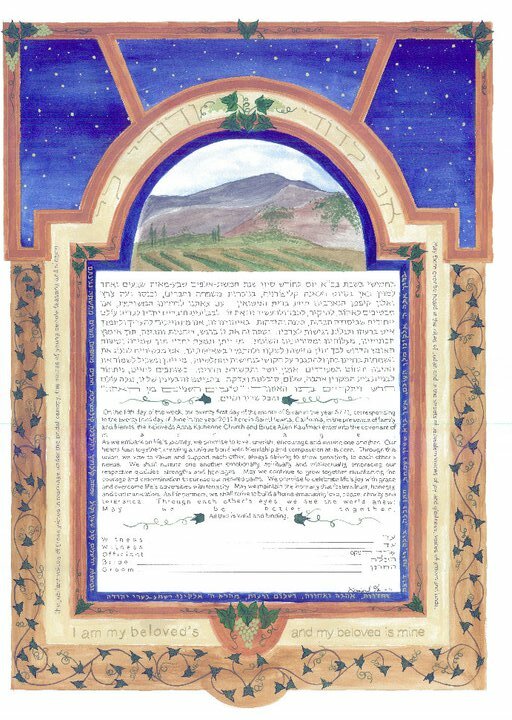 Ketubahs start at $800 + plus shipping.